Pet home remedy books including books on natural dog remedies, natural remedies for horses and essential oils for cats are recommended here. Use these books along with the free online reference guide for essential oils for animals. There are several schools of thought when it comes to using essential oils, so please review the oil fact section before you purchase a book so you understand the difference between therapeutic grade essential oils and pure grade oils. Many sites do not recommend using essential oils as holistic pet remedies because they have had adverse reactions to poor quality and synthetic oils. I only recommend using therapeutic grade essential oils for horses, dogs and cats for this reason. I can assure you that I use therapeutic essential oils for my dog and horse on a daily basis with no safety concerns. And my horse (and dog) has received and enjoyed many Raindrop Technique Sessions which involves using nine essential oils or more! These books I highly recommend and the authors prescribe to the French School of Aromatherapy. Description: This reference guide has a small section on animal care. It has detailed information on essential oils, nutrition, skin care and cleansing programs. To purchase Essential Oils Desk Reference from Amazon, click here. Description: This is a total reference book like the EDR for animals. Has sections on essential oils for all animals as well as usage and application. Use this book along with my free online reference guide for essential oils for animals. To purchase Essential Oils Animal Desk Reference from Amazon, click here. Description: This is a total reference book like the EDR for animals. Has sections on essential oils for cats, dogs and horses; and exotics Use this book along with my free online reference guide for essential oils for animals. To purchase The Animal Desk Reference: Essential Oils for Animals from Amazon, click here. Description: This book has information and tips on essential oils for cats, dogs and horses. Use this book along with my free online reference guide for essential oils for animals. To purchase Essential Oils for Natural Pet Care: A Veterinarian's Desk Reference for the Top Health Concerns of Cats, Dogs & Horses from Amazon, click here. Description: This book is a manual used in teaching Animal Raindrop Technique taught through CARE. Detailed information on using the oils through acupuncture points, meridians and Raindrop. Section on iridology. Very detailed complete manual for the serious practitioner who works with oils and animals. To purchase Escent-Oil Balance: The World of Essential Oils for Animal Application, Vol. 1 (Escent-Oil Balance, Vo. 1) from Amazon, click here. These books I highly recommend in addition to Essential Oils Desk Reference. However, they advocate the use of therapeutic grade oils for dogs and cats, but recommends using hydrosols (floral water) for cats. Description: This book advocates the use of therapeutic grade oils for dogs and cats, but recommends using hydrosols (floral water) for cats. Also has information on relating oils to acupuncture points and theory. To purchase Essential Oils for Animals from Amazon, click here. These books I also recommend in addition to Essential Oil Desk Reference. However, they are written according to the French and British School of Thought of Aromatherapy. Pet Home Remedy Books written by the British School are very conservative and typically they use aromatherapy grade oils, not therapeutic grade. Description: This book is geared towards horses and cats; and provides some nice recipes for oil users especially for dogs. However she does not recommend oils for cats. Insignificant section for horses. To purchase Holistic Aromatherapy for Animals: A Comprehensive Guide to the Use of Essential Oils & Hydrosols with Animals from Amazon, click here. Description: This book is written according to British School of Thought so there are oils that I recommend that she considers "hazardous" due to oil quality issues. However, I recommend the book as it also contains some massage and hands on information which I like. To purchase Essential Oils for Horses: A Source Book for Practitioners and Owners from Amazon, click on the link. These books I do not recommend that you receive your information regarding essential oils for pets. However, these Pet Home Remedy Books maybe excellent references for other modalities; and I will note that when warranted. Description: It is obvious here that Denise took the information from books written according to British School of Thought. And I am disappointed that it really scares people away from using Aromatherapy for horses. I continue to have people e-mail me for clarification on the oil information from this book. However, I DO highly recommend the book for the photos and sections on equine stretching and acupressure! And my favorite part of the book the Equine Acupressure Meridians and Acupoints Charts. I use this part of reference frequently so I do give her much credit for that! To purchase The Illustrated Guide to Holistic Care for Horses: An Owner's Manual from Amazon, click on the link. Description: This DVD produced by Dr. Heather Mack, DVM shows a full Equine Raindrop Technique on one of her horse’s that is a patient. It provides a short introduction on essential oils for horses. Includes laminated book for the barn. To purchase Equine Raindrop Therapy DVD and Laminated Booklet from Amazon, click on the link. This is a very new field of interest. I hope one day I will be able to look at our animals specific genes and genetic mutations in the methylation cycle so we can better support them. 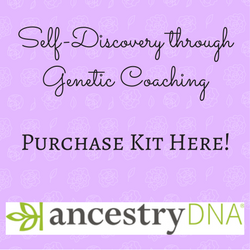 In the mean time, learn about Nutrigenomics and your own methylation cycle and how that supports your detoxification pathways and dna/ran repair. Description: This book talks about the basis of nutrigenomics and why and how to feed your dog the best nutrition. Love it! 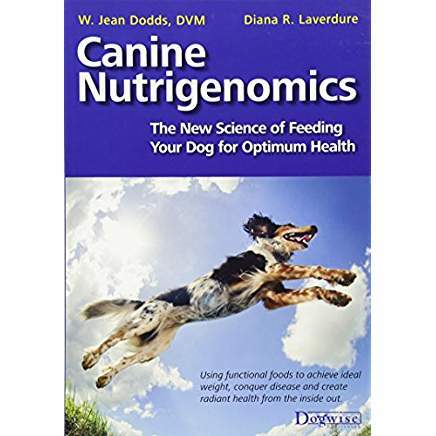 To purchase Canine Nutrigenomics by Dr Jean Dodds from Amazon, click on the link. These pet home remedy books are on other holistic modalities. One great thing about essential oils is that they not only can be used with other modalities, but they enhance them! Description: My friend Stacey wrote this excellent herbal plant guide book. 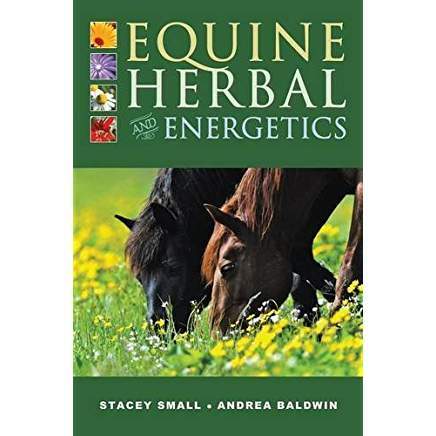 If you use herbs to support your horse you need to have this book! To purchase Equine Herbal and Energetics from Amazon, click here. Description: My friend Jean Pierre wrote the first book on equine massage and continues to be one of the best in the field. Use this book to learn how you can do some simple exercises to help your horse feel better every day! To purchase Equine Massage: A Practical Guide (Howell Equestrian Library) from Amazon, click here. Description: This book has a good description of the meridians and their function as well as charts. Also gives the traditional name of the points as well which I like. Small enough book to bring to the barn and I always keep it handy when I'm working on any horse. To purchase Equine Acupressure: A Working Manual from Amazon, click here. Know an Essential Oil Book or Some Pet Home Remedy Books that Need a Review? Please let me know! Would love to do so!